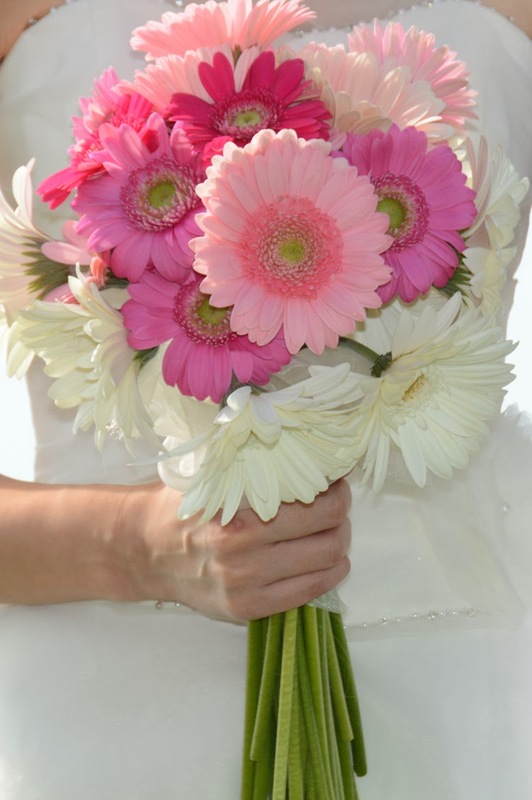 The bride collected gerbera daisies from her wedding guests and tied them together for a hand-made daisy bouquet. Nice bouquet. I like you post.